Widely regarded as the nation’s favourite dish, there is no doubt that fish and chips deserves its own National Day of celebration. On the 1st of June, people will be commemorating this iconic British dish across the country, looking for the best fish and chips in town. 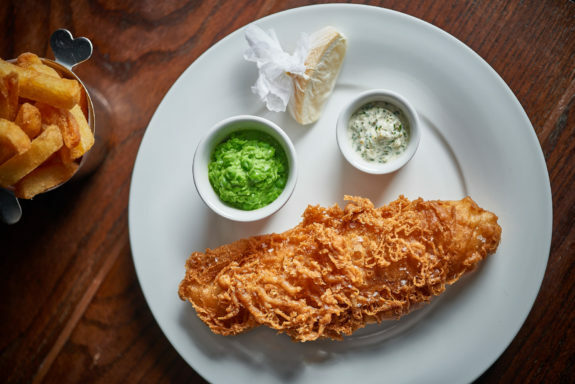 Utilising all the secrets shared from Heston in his ‘In Search of Perfection’ series, we are well-known for cooking the perfect fish and chips. The chip coating is golden and crunchy, whilst the potato centre is light and fluffy. The fish batter is crisp and ultra-light, whilst the fish is delicate and tender. All served with vibrant crushed peas and a creamy, homemade tartar sauce. Join the dish and chip fiesta and book your table soon! 01628 621936, reservations@thecrownatbray.co.uk. Setting grills alight across the nation once again, National BBQ Week is back for the 22nd year running! As Europe’s leading BBQ nation, Britain awaits this week with great anticipation, each individual ready to show off their own master-searing skills and secret-recipe marinades. Filling the air with the smells and sounds of summer, our Everdure by Heston BBQs are stoked in our beautiful Garden, ready to serve you a selection of BBQ dishes. 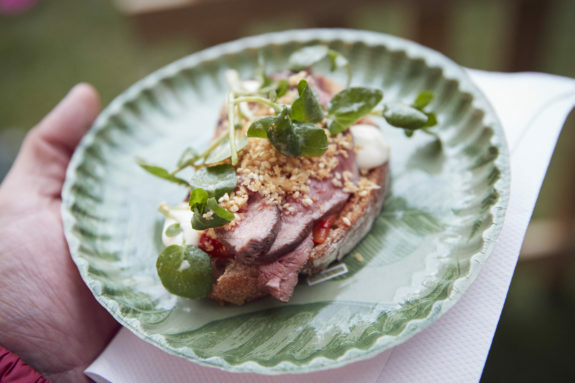 From our Slow Cooked BBQ Ribs & Yuzu Coleslaw, to Open Steak Sandwich with Kimchi & Soy Mayo, to Caramelised Pineapple & Popcorn Sundae – our Garden Menu is filled with BBQ treats worthy of this momentous week. Come to our Garden oasis and celebrate National BBQ Week in style! Muddy Awards Berkshire: We’re Finalists! We are excited to announce that we have been shortlisted as ‘Best Destination Pub’ Finalists in the Muddy Awards Berkshire 2018! To all those that have voted for us so far; a huge thank you. We wouldn’t be the pub you love without all your friendly faces. Voting to see which of the Finalists will win commences today (Monday 14th May – Friday 18th May 2018). For one week only, voting lines are open for you to cast your last votes and see The Crown capped as your winner! Please head on over to Muddy Berkshire now submit your vote. Thank you!